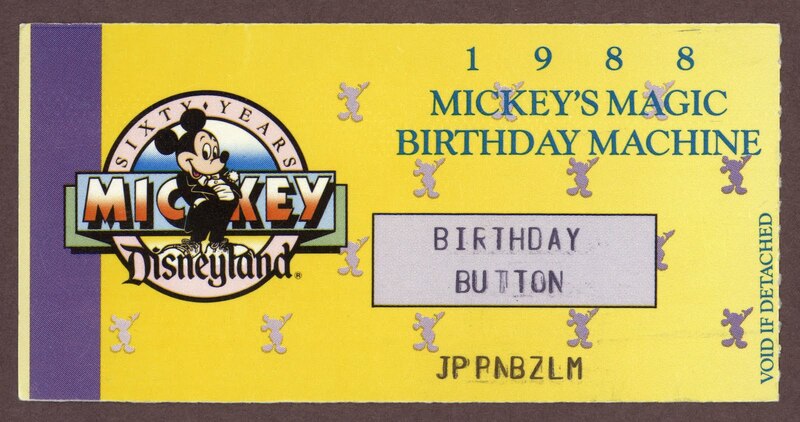 1988 was the year of Mickey's Magic Birthday Machine celebration. This ticket is a Winner!!! ACK! Buttons do nothing for you? I love them!! Buttons, that is. They hardly make them anymore. Man, just a bit too slow. 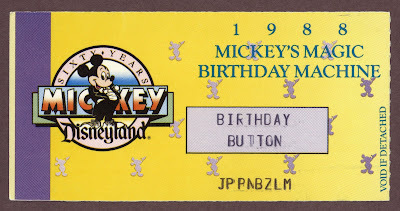 I've collected buttons for years. 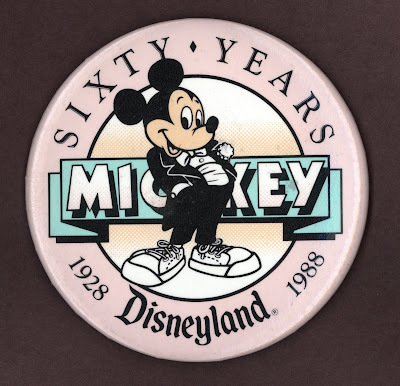 And let's not get into my Disney pin collection.